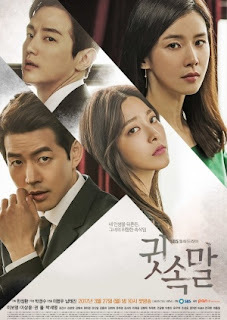 Cast: Lee Bo Young, Lee Sang Yoon, Kwon Yeol, Park Se Young and Kim Kap Soo. After covering a case with one of South Koreas biggest law firms Taebak, Detective Shin Young Joos (Lee Bo Young) father gets caught up in a murder trial. He is accused of killing one of his friends, and due to the overwhelming evidence against him, he is sure to get convicted. Refusing to believe her father could do so and confident that he is set up, Young Joo decides to investigate the case herself, and decides to meet up with the judge of the trial, as she is afraid Taebak might cover the whole thing. Lee Dong Joon (Lee Sang Yoon) is the judge on the case, and as fate has it, he is known to be honest and fair in his judging. So apparently this drama was hyped because of the lead couple - they acted in another drama together, and it was very popular. Considering the supposed chemistry, it wasn’t that great. As a whole the story is weak and so is the overall backdrop, even though the idea is good, but with such a weak story I wasn’t really satisfied. I think I was expecting much more than this offered, but once I got over that it was okay to watch. I still felt that those “oh yeah!” moments were either forced or just simply blown out of proportion. If you think about how ‘easy’ the last few episodes were, with the evidence piling up against the antagonist, the beginning seemed a bit dull. Luckily the chemistry was good, and it was interesting to watch, so it didn’t feel like a complete waste. All in all an okay drama to watch, but has a bit too much seriousness for a casual watch.